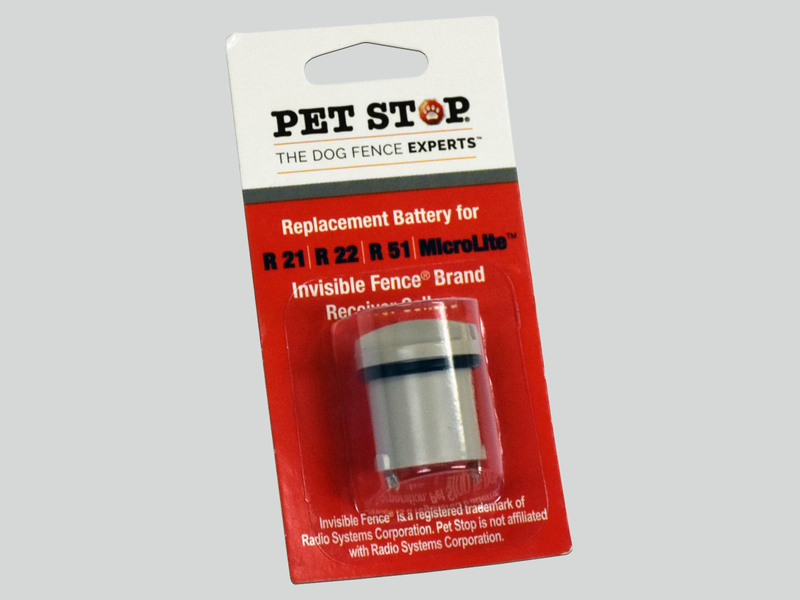 The Pet Stop® Invisible Fence® Replacement Battery is for use with Invisible Fence® brand receivers. This non-OEM replacement battery is compatible with Invisible Fence® brand receiver collars. Includes 1 non-OEM replacement battery, compatible with following Invisible Fence® brand receiver collars: R-21®, R-51® COMPUTER COLLAR®, Platinum, & Basic. These batteries meet or exceed Invisible Fence® standards.